Cook led the Three Lions a record 59 times, which included two Ashes series wins at home. Former England captain Alastair Cook, who called time on his international career in September this year after the fifth Test against India at the Oval, may become the youngest cricketing knight. 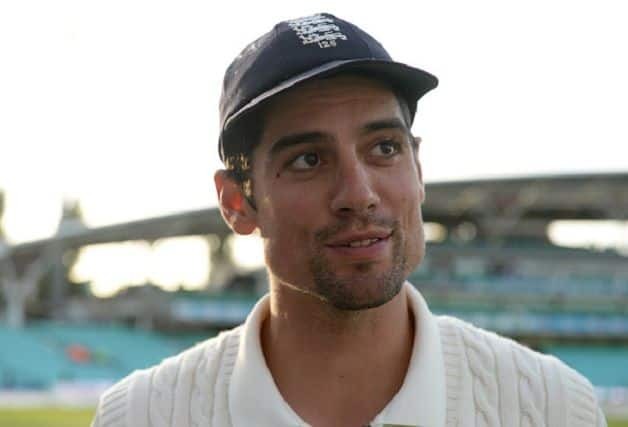 According to a report in the Metro on Tuesday, a proposal to award Cook, who turns 34 on Christmas day, with knighthood has been tabled in the House of Lords. “It is not just that Alastair Cook is unquestionably the best batsman England have produced in recent years but that he can make a massive contribution as an ambassador for cricket at home and abroad,” Right Hon Lord Andrew Tyrie, a member of the House of Lords, who tabled a Parliamentary question proposing Cook for a knighthood, was quoted as saying in the report. Cook has a glorious career scoring 12,472 runs in 161 Tests at an average of 45.35 with 33 hundreds to become England’s leading scorer. He led the Three Lions a record 59 times, which included two Ashes series wins at home. However, the highlight of his career was captaining England in the away Test series against India six years ago, an achievement the side has recorded only twice in 42 years. 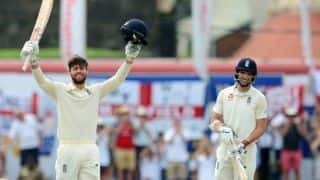 “Alastair is England’s greatest run-scorer and has played the greatest number of Tests for us making him an all-time great, so it would be fitting for him to be honoured this way,” Graham Gooch, Cook’s mentor at Essex, said. Cook’s knighthood may fructify as Prime Minister Theresa May being a staunch cricket fan. Sir Ian Botham is the only other living cricketing knight.